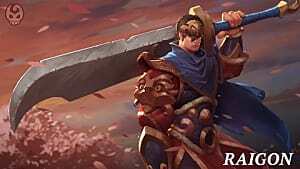 In Battlerite, Blossom is a character based off of Dryad from Bloodline Champions. She's a nimble support champion that is very newbie-friendly in such a way that you can do well with her even while making quite a lot of mistakes. Nonetheless, there is a learning curve to playing Blossom, and it's not hard for the experienced pros to stand out from the rest. Playing Blossom optimally requires a good use of invisibility frames, mobility management, and an understanding of where to optimally place a key object-based healing ability. 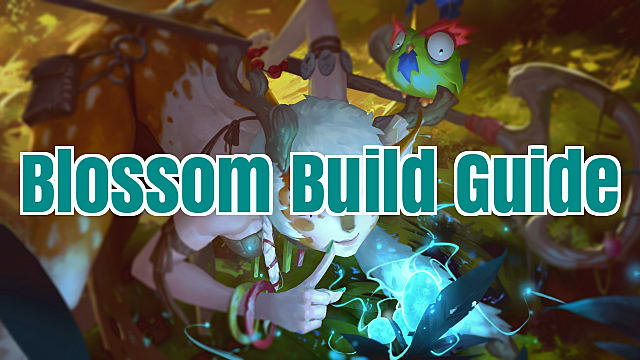 Playing Blossom the right way is very rewarding, and that's just what I'm going to show you how to do in this build guide. Let's take a look at all of Blossom's non-EX abilities. While those EX abilities are some of the most powerful in her kit, selecting the proper Battlerites is essential to unlocking the power behind Blossom. Throw an infused acorn that deals 10 damage. Deals 20 damage and inflicts Snare if weapon is fully charged. Thwack is close to useless unless fully charged, and you really want to be using this ability to get off its snare and follow up with a much stronger attack (either from yourself or teammates). The chip damage you get in from an uncharged Thwack can add up after a while, but giving this ability up without even attempting to land CC feels like a strict misuse. Weakening Pitch Charged Thwack! reduces target's damage and healing output by 40% for 1.5s. Nature's Cycle Your weapon recharges 30% faster. Weakening Pitch is just too good of a supportive Battlerite to pass up. 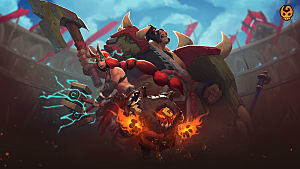 I'd argue that this is the best Battlerite in her entire kit simply because it opens up an entirely new playstyle where not only are you a healer with burst damage, but you can suddenly take offensive pressure off of you or your teammates by landing an ability that you already want to land even before you pick this Battlerite. Summon the vitalizing powers of nature to heal nearest ally for 11 health. Applies Butterflies. Nourish has the fastest cooldown of all heals on this same slot in the entire game. The trick with this ability is that you want to spread your heals out across teammates, rather than spamming everything on a single one, to make use of the heal-over-time effect of Butterflies. Kindhearted Nourish heals for 2 bonus health when healing an ally, and Butterflies heal for 2 bonus health on an ally. Fluttering Grace You move 10% faster for each nearby ally affected by Butterflies. Again, there's a clear pick with these two Battlerites. The healing that Kindhearted gives you is just too good when stacked up against the mobility of Fluttering Grace. Movement speed is great, but with the next ability in the list, you really have all that you need. Hop towards target location and avoid incoming attacks. Grants invisibility, 20% increased movement speed, and removes movement-impairing effects upon landing. Invisibility fades when an ability is used. This is what makes Blossom such a mobile champion. Not only does Hop grant you movement speed and cleanse off crowd control, it also comes with invisibility frames (or "iframes"). This is a versatile ability that can get you out of a ridiculous amount of sticky situations. If you blow this ability to dodge something weak with Hop's iframes, you're opening yourself up to a world of hurt. Saving Hop can be just as dangerous as using it in some situations. Gift of Nature Leave a Lesser Boom Bloom seed behind when you use Hop. After 1.1s, the seed inflicts Stun on all nearby enemies for 0.8s. Hop and Skip! Hop can be recast for a Lesser Hop towards target position. Nature's Presence Hop grants 15% increased damage and healing output to self and nearby allies for 3s. Cautious Hop invisibility duration is increased by 1s. Hop and Skip! 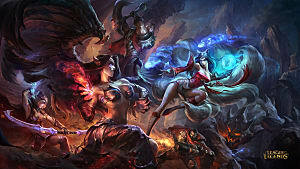 is generally regarded as the must-get Battlerite out of these. The description alone doesn't do it in justice, and seeing and feeling it in effect really causes you to understand how powerful and necessary it is in Blossom's kit. The mobility this gives is just too good to pass up in the build. Summon an immovable Tree of Life sapling that heals nearby allies for 10 health and an additional 36 health over 6s. The skill in using Tree of Life properly is obviously positioning it so that it gets the most heals off while taking the least damage, but that can be easier said than done. Your tree can be healed with Nourish, but there's only 20 health on the tree to begin with. You do get energy from healing it, so you can use that to your advantage. The tree does have a collision box, so you can put it in front of projectiles like Shadowbolt or dashes like Heroic Charge to stop those. Healthful Bark Tree of Life gains 10 bonus health. Refreshing Seed Tree of Life grants nearby allies a 35% Haste for 2.5s when destroyed or at the end of its duration. Bountiful Tree When Tree of Life is healed by Nourish, all nearby allies are healed for the same amount. All three of these Battlerites can be really effective. Bountiful Tree is my pick for the best overall Battlerite here simply because you're able to farm energy while getting off heals to your tree and allies at the same time. The power of Healthful Bark has to be understood though, as you're making your tree 50% healthier. That's a big health increase. Launch a Boom Bloom seed that deals 15 damage. The seed will take root and bloom after a short delay to inflict Stun on all nearby enemies. 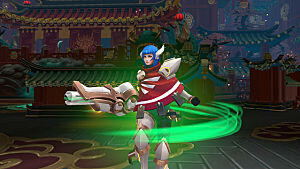 Boom Bloom is one of Blossom's most versatile abilities. Throwing out this ability allows you to peel for your teammates, interrupt channeled abilities, or cancelcast to bait out an enemy's defensive ability. Spring Growth Hitting an enemy with a Boom Bloom seed recharges your weapon by 50%. Pollen Stuns inflicted by Boom Bloom last 0.4s longer. Both of these Battlerites are extremely underwhelming in my opinion, but I think Pollen is the worst of the two. When playing Blossom, oftentimes landing a stun is all it takes to set up the right situation for yourself or a teammate, and extending that stun's length by less than half of a second isn't a make-or-break difference. Summon a barrier of wind that pushes enemies away and reflects projectiles. Gust is obviously a very situational ability that is either going to go unused or be crucial to your team's success. Otherwise, this ability is key to blocking abilities like Fire Storm or Snipe. Puff Recast Gust to launch a gust of wind that deals 12 damage and knocks you and the target apart. At 25 energy, Puff is too much of an investment to really catch my interest. 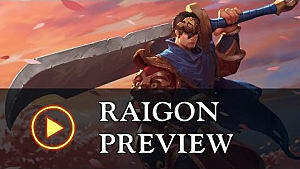 The damage is nothing great, and you're only ever even going to want to consider this Battlerite when you're up against one of the aforementioned abilities that Gust is crucial against. 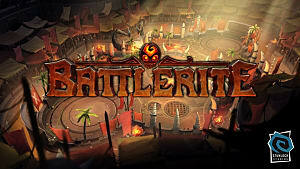 Even then, I'm not sure if this Battlerite is worth picking up. Launch into the air and unleash three waves of energy upon landing. Each wave deals 20 damage and inflicts Weaken to enemies struck. At times, the risk of using Dance of the Dryads can outweigh the potential reward. Enemies can reflect or counter it, and that puts you in a horrible spot. 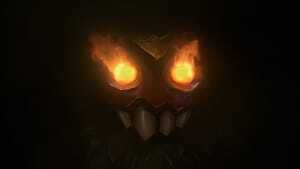 Otherwise, this ability deals a good chunk of damage that dishes out a powerful weaken and a soft knockback CC. Growing Power Each consecutive wave of energy from Dance of the Dryads deals 8 damage. Healing Stream Each wave of energy from Dance of the Dryads heals self and allies hit for 12 health. Growing Power ramps up the damage of Dance of the Dryads to 20/28/36. You don't pick Blossom for her DPS, so this is a Battlerite worth passing up in nearly every situation that I can think of. Below is a round-by-round breakdown of an optimal all-around build that should help beginners play Blossom effectively before transitioning into more match-specific loadout tweaking. Take Hop and Skip! 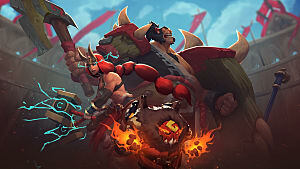 The mobility that this Battlerite offers is too much to pass up, and getting it this early really allows you to harness its power as soon as possible and eventually couple it up with the effects of Battlerites you'll pick up in future rounds. Take Healthful Bark. 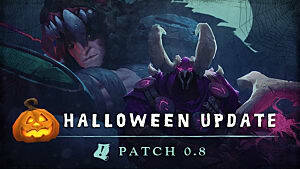 Your tree's uptime is too important not to take a Battlerite that makes it 50% stronger. The best part of this Battlerite is that it doesn't add anything extra or gimmicky to your playstyle; it just makes something you're already using in your kit a lot stronger. Take Refreshing Seed. While it's my least favorite of Tree of Life's Battlerites, it simply beats out the other two in the vast majority of situations. Take Kindhearted. While it may be extremely tempting to take Bountiful Tree here, being that it's a great Battlerite and it really brings all the power of Tree of Life together, Kindhearted is truly the bread-and-butter Battlerite of Blossom's kit. You need this ability to be the reliable support healer that this champion was meant to be. Take Healing Stream. Not much needs to be said here. It's one of the better support abilities in the game up against a DPS ability for a support character. I think you take Healing Stream in 99% of situations. Getting a good understanding for the strength of Blossom's abilities and setting up a proper loadout is the first step behind enjoying and excelling at this champion. Beyond that, spamming as many games as you can is what's going to take you to the next level. She's truly one of the most fun support characters in the game, so be sure to consider the build tips in this guide -- but remember to have fun over everything else.